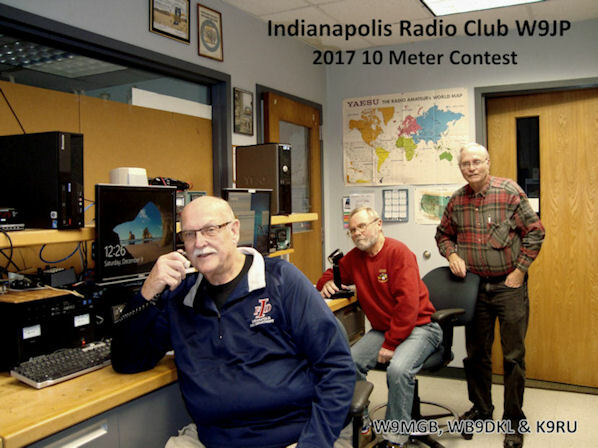 Requirements: Work one station on 2 meter FM simplex located in each of the four, four digit grids located in the Indianapolis area. Submit the application to: Jim Rinehart, K9RU at any Indianapolis Radio Club meeting. Certificates can be pick up at the next IRC meeting. Note: For station that are worked mobile in the grid, please indicate it by adding the “/M” after the call. Find your QTH locator (or your grid square) with GoogleMaps copy the link below and past it into the search window. Then pan to the united states and click the mouse on an address and it will get you the grid square. News about the severe weather repeater! The antenna is at 21st and Post Road in Indianapolis at 340 feet running 25 watts out of the duplexer. For analog radios set the tone squelch to 151.4. Also the 443.75 is a fusion repeater with 100 Hertz also has a WiresX "Americas Room" connection. 70CM Frequency down-linked to 2M. *requires100.0 Hz tone to down link. News about the State RACES and WW2IND USS Indianapolis Memorial Station talk in repeater! The antenna is at 4190 South Harding Street at 380 feet running 25 watts out of the duplexer. For analog radios set the tone squelch to 88.5.